This brief, beautifically crafted novel introduces one of the finest contemporary Arab novelists to English-speaking audiences. 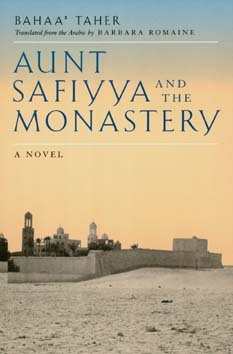 In it, Bahaa' Taher, one of a group of Egyptian writers—including the Nobel Laureate Naguib Mahfouz—noted for their revealing portraits of Egyptian life and society, tells the dramatic story of a young Muslim who, when his life is threatened, finds sanctuary in a community of Coptic monks. It is a tale of honor and of the terrible demands of blood vengeance; it probes the question of how a people or nation can become divided against itself. Taher has a magical gift for evoking the village life of Upper Egypt—a vastly different setting than urban Cairo and a landscape that tourists usually glimpse only from the windows of trains and buses taking them to the Pharaonic sites. Here, where Christians and Muslims have coexisted peacefully for centuries, where the traditions of the Coptic Church are as powerful as those of the Muslims, Taher crafts an intricate and compelling tale of far-reaching implications. With a powerful narrative voice and a genius for capturing the complex nuances of human interaction, Taher brilliantly depicts the poignant drama of a traditional society caught up in the process of change. Bahaa' Taher, who lives in Geneva, has written three novels and several collections of short stories. This novel, his most recent, is the first to appear in English. Barbara Romaine teaches Arabic at the College of William and Mary.